At St George Archers we can take you from a beginner to a National champion and anywhere in between. Whether you want to shoot for fun or competitively we can help you reach your goals. St George Archers conducts a Beginner’s Course of two lessons. Qualified instructors will teach you the basics of archery and the safe use of bows and arrows. 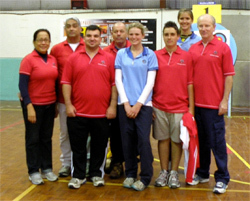 All equipment is supplied by the Club. St George Archers strongly recommends that you do not buy equipment before you complete the Beginner’s Course. Archery equipment is expensive and incorrect or poorly set-up equipment is one of the main causes of frustration for new archers. The selection of equipment will be discussed during the Beginner’s Course. If you join the Club after the Beginner's Course, you may continue to use the Club’s bows and arrows for a fee of $10 per day until you buy your own equipment. Young archers need supervision and encouragement. Parents are asked to stay at the ground to assist in these important functions. Please do not buy any equipment without first seeking the advice of an experienced archer. It is essential to buy a bow and arrows that correctly match your child’s physical characteristics. At St George Archers we want kids to have fun and enjoy archery but our experience is that unless they feel that they are progressing, they become disillusioned and give up. Younger archers develop their technique as they grow and become more practiced at the sport. Their equipment needs to grow with them. Poorly selected, mismatched and outgrown equipment is a major contributor to disillusionment. 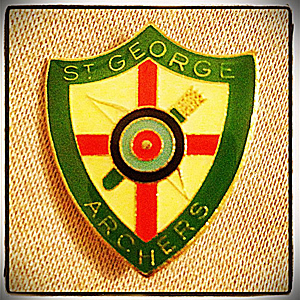 As a member of St George Archers you can participate in all Club activities and competitions as well as all tournaments conducted by Clubs affiliated with Archery Australia and ArcheryNSW.